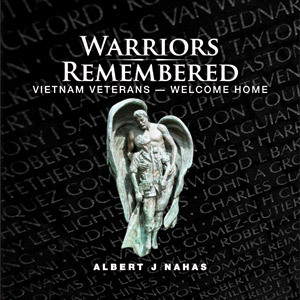 Warriors Remembered is a 240-page, 11.5″ x 11.5″ hardback photo documentary of Vietnam Veterans Memorials from all 50 states with stories of their significant features, locations and the motivation and struggle faced by those who built them. It highlights 100 memorials and their creators, and shares some of each memorial’s subtle details. Warriors Remembered is both a travel log and a documentary.